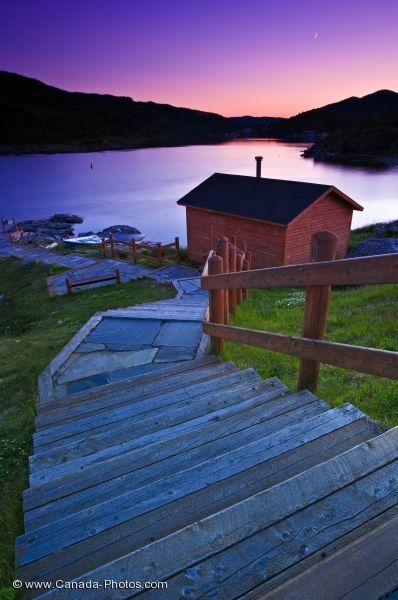 In the town of Fleur de Lys on the Baie Verte Peninsula in Newfoundland Labrador you can stroll down this steep set of stairs to the water's edge. Here you can enjoy a picnic at the reserve near the shed and watch the sunset adorn the sky with an amazing array of colours, this one showing off the pinks and purples. Picture of the pink hues of the sunset in the town of Fleur de Lys in Newfoundland Labrador.